We always hope you enjoy coming to USA Carry to learn and discuss more about concealed carrying. However, there’s a lot of other opinions and ideas floating out there and we wanted to show you some that sure entertained us. Mr. Colion Noir quickly grew in popularity in the concealed carry community because he addressed the pressing issues facing us. Namely, how we can do more to prevent mass shootings, decypher the politics surrounding guns, and encourage people to act responsibly. He is also an NRA News Commentator and the host of NOIR. You can follow him on Youtube, Facebook, Twitter, Instagram and his own website, Mr. Colion Noir (coming soon). Not everyone agrees with the Yankee Marshal. He’s opinionated, has prior law enforcement experience, and lives in Oregon — far from his Southern roots. While his politics tend to lean conservative, he has some surprisingly open-minded takes on the politics as it relates to the shooter and his responsibilities. Not every video you’ll agree with, but you’ll definitely see he takes safety seriously and the rest is up for laughs and good-hearted debate. You can follow the Yankee Marshal on Youtube, Facebook and Instagram. Concealed Nation has always stuck to their guns – no pun intended – in maintaining that concealed carriers have a responsibility to be knowledgeable about the law, train how they intend to fight, and maintaining constant situational awareness. One of the unique things about Concealed Nation is they’re extremely good at covering actual concealed carry events in the news and reporting them for their audience. This helps keep people aware that proper training and a good mindset will go a long way in staying safe. We like them so much, sometimes we share their articles. You can follow them at their website Concealed Nation, Facebook, Twitter, Youtube and Instagram. Hickok45 comes across as one of the most genuine, laid-back, down-to-earth gun enthusiasts out there. If you can think of a firearm, chances are good somewhere in his channel he’s tried it. Each firearm he uses, he evaluates and shows its capabilities and limitations. Before purchasing a pistol or revolver outright, check to see if he’s done a review of it. You can follow him on Youtube, Facebook and Twitter. 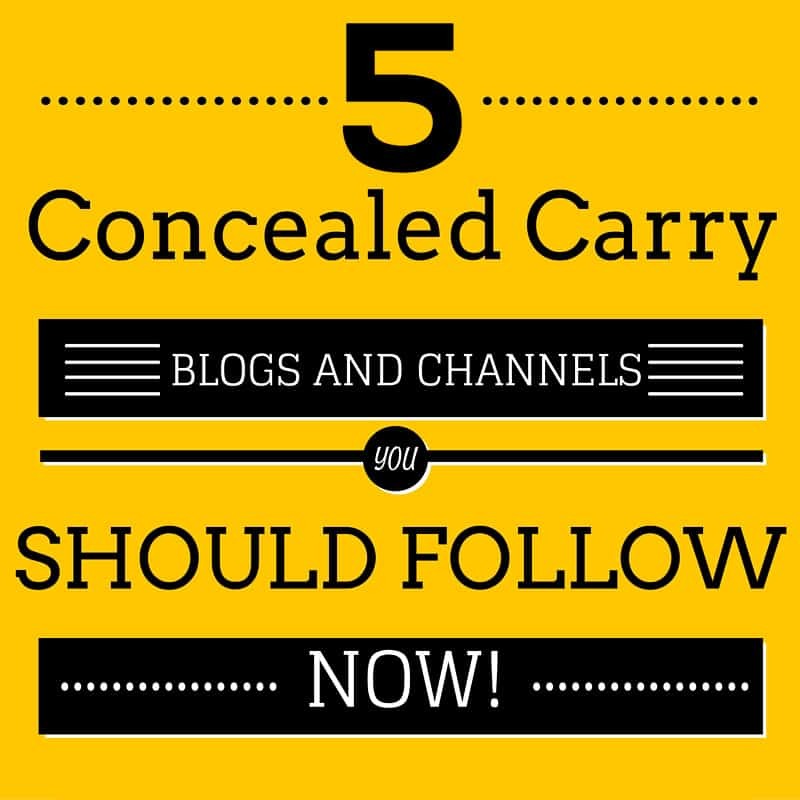 Not trying to toot our own horn, here, but USA Carry has been along through the wild ride of concealed carry topics that have come up. We’re first in providing updated reciprocity information, and we’ve recently expanded into daily featured articles and content. Fostering positive discussion about CCW issues, USA Carry certainly is front and center. And recently, we’ve added audio podcasts so viewers can listen to an article instead of just read it — handy for those who are on the go and want to stay informed! You can follow us at our website USA Carry, Facebook, Twitter, Google+, Pinterest, Tumblr and Instagram. You can also subscribe to the USA Carry Podcast here. Iraqveteran8888, aka Eric from Moss’ Pawn & Gun, is a veteran of – you guessed it – Operation Iraqi Freedom. Since returning stateside, however, he’s taken up residence as a good authority for what a firearm can withstand before breaking. He also viciously tests quite a few firearm systems to see if they live up to expectations. In terms of concealed carrying, he’s an open advocate of it and actively tries to demonstrate pistols that function well in that environment. You can follow him at his website Iraqveteran8888.com, Youtube, Facebook and Twitter. DGU stands for Defensive Gun Use and it focuses on current events and breaking news stories related to everyday people using their firearms. They do a great job in identifying which cases were “bad form” versus those deserving recognition. Best of all, people discuss what went right and what went wrong so they can adjust their own training and situational awareness accordingly. Previous articleShould Concealed Carry in College by Staff and Students be Allowed?